EDIT: I have now realized this is the very first GT 1030 build on PCPP. Yay, I think? I visited my grandpa about a month ago, and we were visiting and chatting and somehow got on the topic of that he wished there was some sort of program he could use to look back at satellite imagery over time. I told him there was, Google Earth. So he was excited, and I got on his computer to try and install it. It was painful. The thing was running some ancient CPU, an old Core 2 Or pentium or something. So I told him I could build him a computer! Him being him he didn't want to cheap out so this is what I ended up building. The whole system is death silent under load and cool as well. NOTE: The HDD you see is a 160gb Scorpio I used for testing. I'll put in the 500gb one when I deliver this to Peebuz(my grandpa)! I will also be putting his old optical drive in. If you ask me (which you aren't) this is the only good thing to come out of the Kaby Lake lineup. Intel has become extremely annoying with their prices, and honestly, this CPU is a great deal. i3 power for a Pentium price and runs cool. Intel should use this as a role model for pricing. 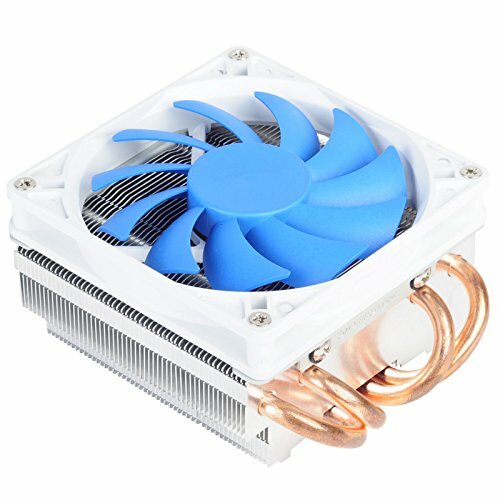 Great cooling, easy installation, silent, and premium construction. What more could I ask for? It's RAM. It RAMs. Whoopee. Smol pascal. Surprisingly powerful for the price! Quiet, came with a half height bracket (which could have been easier to install...had to remove the entire shroud to get to the final and single screw). Ran PassMark really well, most 30-50 fps. Needs no power connectors, and can run most games on medium to low. Boosts to 1.97 GHz on its own. 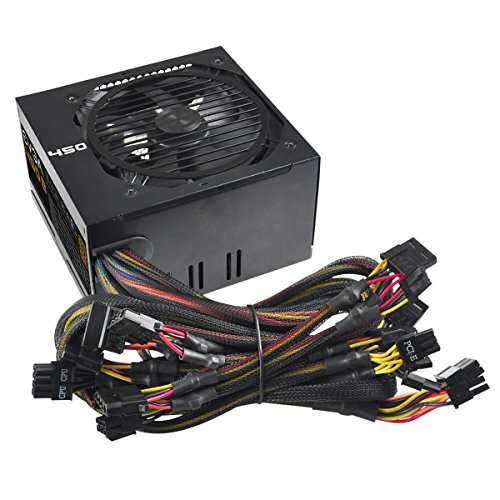 Easy to build in, came with fan filters and all the stuff you need. Sturdy steel construction! It's a Psu. Make weird clicky noises for awhile but that has stopped. Cables are impossible to bend but it's great for the price. Eerily quiet. Literally, with my ear right next to two of them running, I could barely hear the air or motor. I don't know how that's possible. And at the same time they move tons of air. Great fan and Noctua lived up to the hype. Very nice build, I am sure your grandpa enjoys this build a lot. I really like the design of the EVGA gt 1030 and am happy to see it in use, I plan to make a build like this for an HTPC. One question though, How quiet is it? Your grandpa obviously doesn't need much out of this build graphically, so is there any reason why you chose a 1030 over the integrated graphics? Even if you wanted a gpu, I would have recommended grabbing a Radeon 460 or 1050 for $20-$30 more over the 1030. Other than that, great budget build! Future proofing mostly. Anything else would have been overkill and he needs a little extra grunt for some stuff he is doing than iGPU can give him. This way, it'll last long into the future. What specifically is you grandfather doing the requires a discrete gpu? He wants to do flight simulators. this is one awesome build! 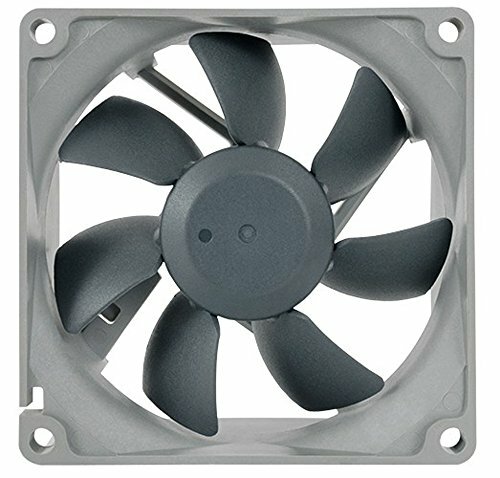 I for one appreciate the lower end components like the 80 mil fans, and the 1030. 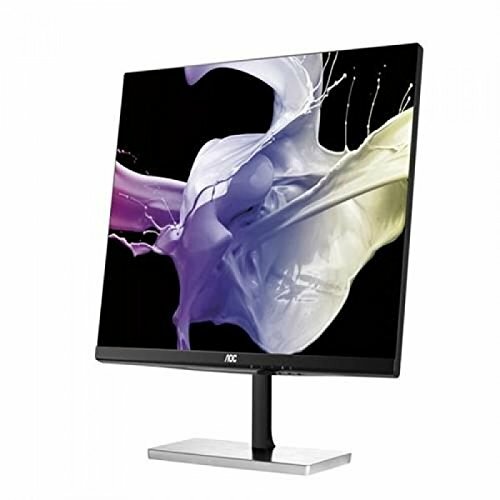 Its probably a fun lil computer that id be happy to have. Yeah. For 80 mils they're way quieter than I thought and push some good air! Great choices! Plus did you know that the GT 1030 performs like the 750ti if not better?! Plus did you know that the GT 1030 performs like the 750ti if not better?! I wouldn't say a GT 1030 is better than a GTX 750 Ti, but it's not far behind it. I look at articles, Passmark, Userbenchmark, etc. Youtube helps with the real-case scenario, varies though. Yeah! It's a surprisingly capable little card considering it's specs. Well-considered build and a really charming write-up, thanks! Since you are the only completed build using this card (until I get my testing finished that is), I would like to say that anyone underestimating this card is in for quite a surprise if you pick it up. 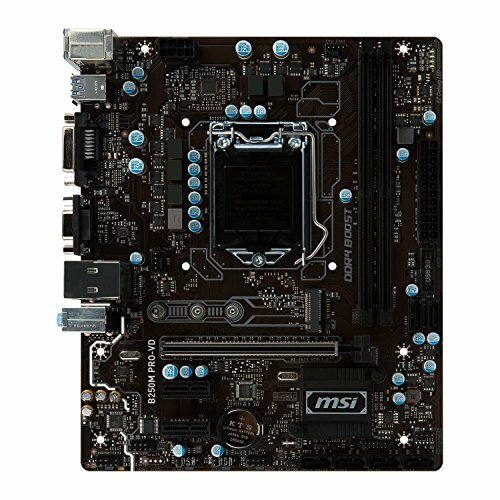 I'm using the MSI version for a gaming build, and my God, I was blown away at what it is able to pull off! I'm well aware of the concept of "get what you pay for", and I think you honestly get more! Some of the fps it was pulling off was damned impressive for a card without the. GTX designation. No regrets on that purchase! Your grandpa is a lucky man, especially since he gets the sweet EVGA version (went with the MSI because it's true single slot, EVGA is 1.5 slot). Awesome job man! Thank you. I'm still a little skeptical of the value of low end cards like this, but at 70 bucks it was a good buy. Thanks for the in depth comment! There, got mine up now! Hope you dig it! Sweet, I'll check it out! This is nice that this build is well priced with everything that is in the build. Nice rig...have the ML03B myself. I have the EVGA GT 1030 on mild overclock (150mHz + clock, 150 mHz + memory, max temperature @ 65C). About changing the full height to low profile bracket. I didn't need to remove the shroud or heat sink. I just angled the screwdriver through the gap in the shroud to remove the screw. Yeah I tried that, my screwdriver didn't fit and I didn't want to try to force it and damage it. It wasn't a huge hassle to take off the shroud but they could have made it a simpler system. Other than that, great card. Also, I remember you haha. 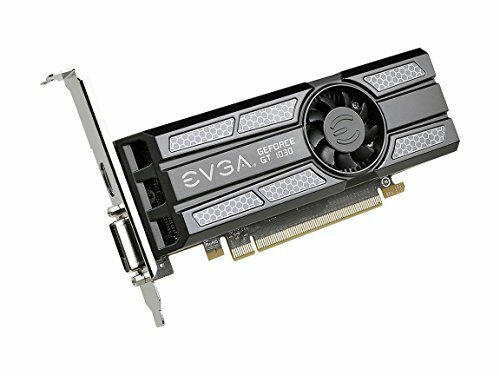 I was looking through EVGA GT 1030 builds a while back and yours was the one that confused the hell out of me because it listed a GT 1030 and then every other picture had a different high-end GPU...you own a lot of cards! Great build! Using the case to build for my mom. Try going for the G4600. It's cheaper ATM. I built this like 3+ months ago lol. Lol if he isnt going to be gaming, you didn't need a dedicated graphics card. you could have just used integrated. The extra fans are not need too. unless your grandpa is going to be gaming on gta or battlefield, you should have gone for different parts. Yeah, because he's going to be doing GTA on a 1030. Read the previous comments AND the description where I explained why. He does things other than email, and this will future proof it. And as for the extra fans not being "need" it's literally two 80mm fans. One intake, one exhaust. Pretty basic buddy. Agreed. Noah, PCPP is a friendly site. Seeing as though you have no builds, please dont judge others negatively. Exactly. I was surprised at the negativity, I'm used to people being super friendly. Yes, sorry it happens. Three years ago seems different with my experience. We aren't that sort of community. I cannot speak for everyone, but constructive criticism with positive reassurance and support is more preferable. Or at least a supportive comment is good too. Regardless if the person has (a) build(s) or no build, we are to be polite and respectful versus to assume or lack of understanding / being disrespectful. Threads like this are why I love PCPP. Dude he wasn't THAT negative. He was just recommending using integrated graphics, that's all. I thought that same way he did: that a grandpa wouldn't be playing moba games or Overwatch to need a GT 1030. I would agree about the iGPU until OP decided to clarify and update their description more about it. I had no idea they were playing flight simulators until later on. I understand what Noah was saying, but with a little less "lol" and how it was brought about could have been less treated as such. Maybe a question to a constructive statement instead of "lol" x reasons you should have done this. Yes I agree that I wasn't exactly clear as to why a dedicated gpu was preferred, but still, the comment seemed a bit snarky for what he was trying to get across. I don't mind criticism at all. It's all good. Noah's comment could have been more empathetic, not less empathy.